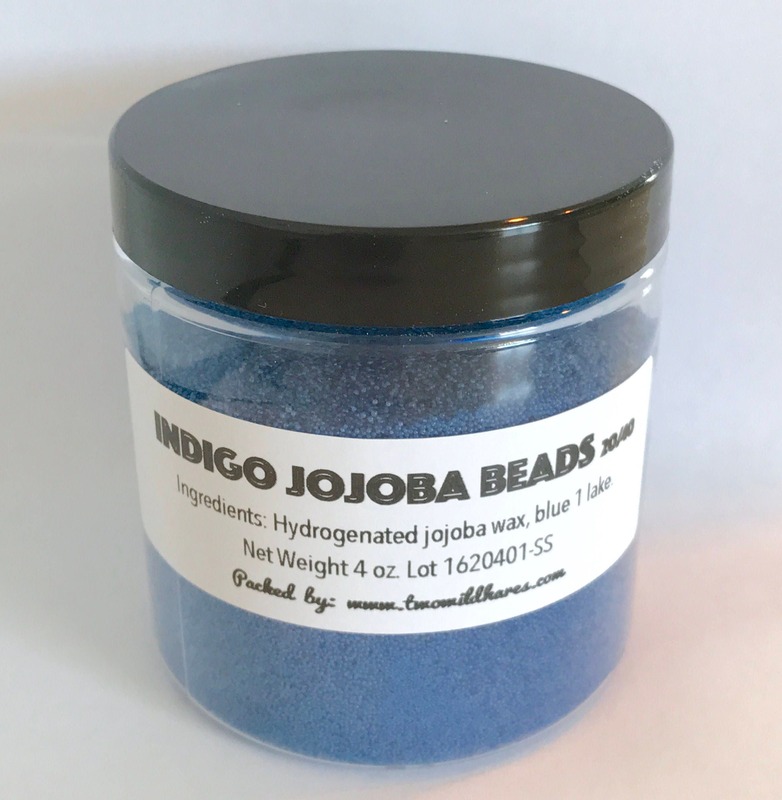 This listing is for Indigo Jojoba Beads in 20/40 size (coarse). They are used for mild exfoliation & decor in bath & body products like liquid soap, lotion, cp soap, bath cupcakes, scrubs, foaming bath whip products, etc. 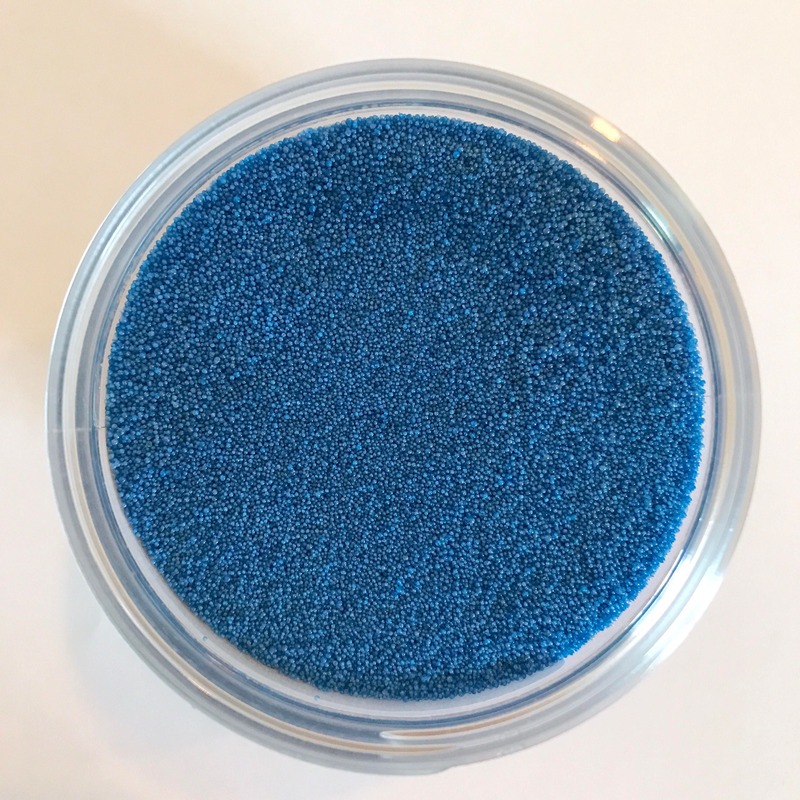 This color is like denim blue and is a limited edition color we may not be able to get more of. Ingredients: Hydrogenated jojoba wax, blue 1 lake. Great product. Perfect for my project! Thank you!